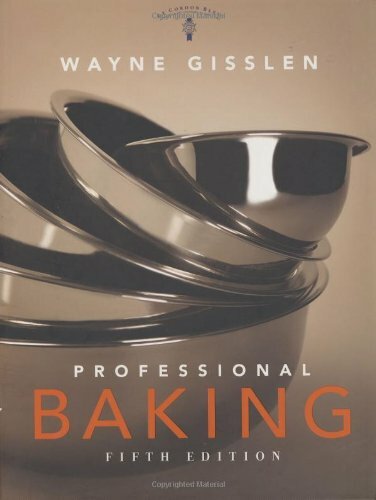 Wayne Gisslen's Professional Baking, long the standard for bakers learning their craft, illuminates the art and science of baking with unmatched comprehensiveness and clarity. Packed with close to 900 recipes, this Fifth Edition continues to cover the basics of bread and cake making while also presenting higher-level techniques such as pastry, chocolate, and sugar work. Balancing theory and practice, Professional Baking gives you the understanding and fundamental skills you need to progress and develop in a successful baking career. In baking, professionals distinguish themselves by achieving consistently great results. Getting these results takes more than just following recipes. It takes really knowing your ingredients, how to best combine them, and how they perform in the heat of the oven. It also takes understanding such areas as bakeshop equipment and mathematics. So if you're serious about baking, you need a broad, deep knowledge of the craft. Wayne Gisslen's Professional Baking is unmatched in covering the art, science, and skills of baking practice. It has served for many years as the cornerstone guide for baking and pastry professionals, serious home bakers, and culinary students, giving them the know-how and methods to take their technique to the next level. Now in its Fifth Edition, this peerless resource gives you a complete guide to sustained excellence in your baking. The book gives clear, detailed information on selecting the proper ingredients, mixing and baking techniques, makeup and assembly, presentation, and more. Reflecting current trends, this revised and updated edition includes new material on baking for special diets including low-fat, low-sugar, gluten-free, and dairy-free diets. There's also expanded coverage of professionalism, baking science, and ingredients. More than 775 color photographsillustrate ingredients and step-by-steptechniques as well as dozens of finished dishes. Inside you'll find an encyclopedic array of close to 900 classic and creative recipes to explore, ranging from basic cr?pes and puff pastry to intriguing variations on the familiar, such as Sachertorte and Peach Napoleon. Filled with the best practices and techniques that have been used to educate a generation of bakers, and presented in an easy-to-navigate layout, Professional Baking, Fifth Edition is the key to creating consistently high-quality baked goods with the artistry of a true professional. Wayne Gisslen's Professional Baking, long the standard for bakers learning their craft, illuminates the art and science of baking with unmatched comprehensiveness and clarity. Packed with close to 900 recipes, this Fifth Edition continues to cover the basics of bread and cake making while also presenting higher-level techniques such as pastry, chocolate, and sugar work. Balancing theory and practice, Professional Baking gives students both the understanding and fundamental skills they need to progress and develop in a successful baking career.